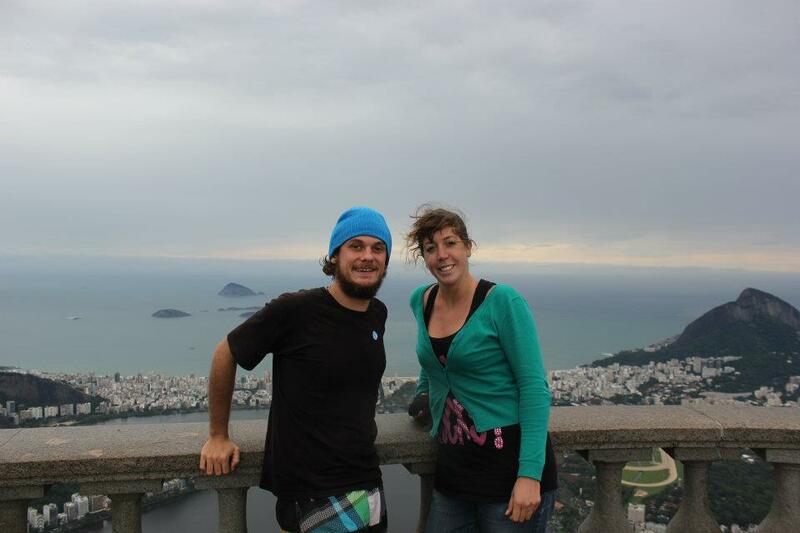 When I arrived in Rio I stayed nearly a week in a hostel in the heart of Botafogo. There I met other travelers including David, a Canadian who has been wandering in South America for several months and who introduced to Caparinha making, essential cocktail from Rio with cachaca, sugar and lime ! I also met Esther a young Dutch nurse who has given up her job for a 6-month trip in South America. Finally there was Sophie, girlfriend of a French friend of mine who put us in contact. 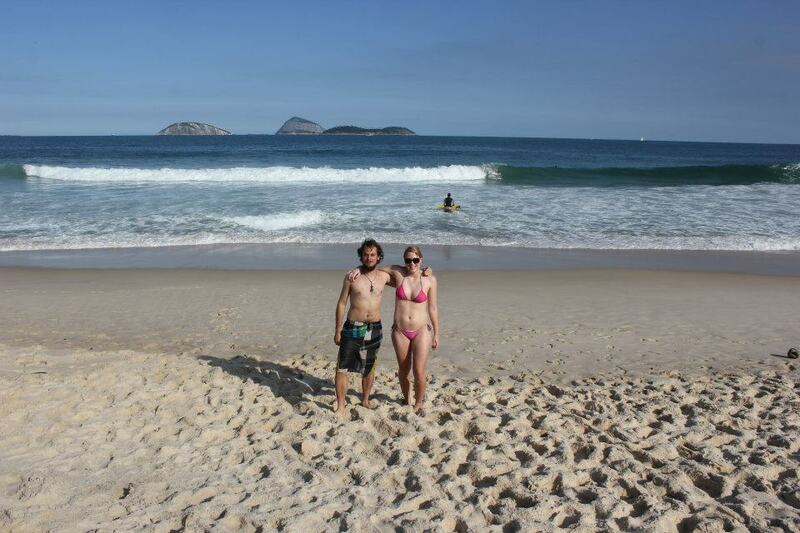 Sophie was in Rio to spend a month with her boyfriend Brazilian Ivo. As soon as I arrived they took me to visit the beautiful botanical garden located right in the middle of the city and we went to eat coconut milk at Ipanema beach. Then the following week I got hosted by Chico, a couchsurfer who lives with his dog in one of the richest neighborhood of the city, Ipanema. He was going to university and at work every day but we went out pretty much every night and I got to know his friends, all very nice. On Friday, he organized a karaoke night in his apartment and on Saturday he showed me the festive Lapa neighborhood, where the Brazilians go out from the bars to dance in the street on the frantic rhythms of samba. Finally I met again with a group of Germans, Max, Phil and Alex, with whom I had spent several days in Sucre, Bolivia. 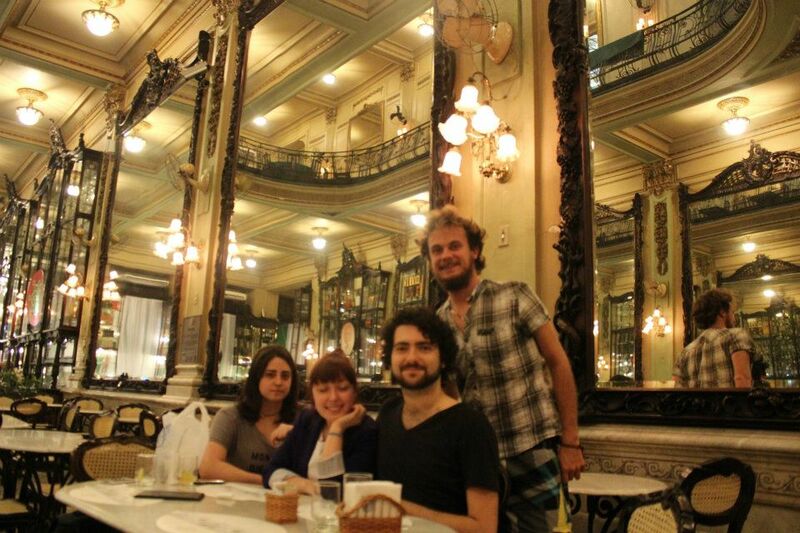 We went out one night in Lapa in a club where they was a samba concert samba. Learning this dance was just a disaster for me! After three rainy days the sun finally reappeared. 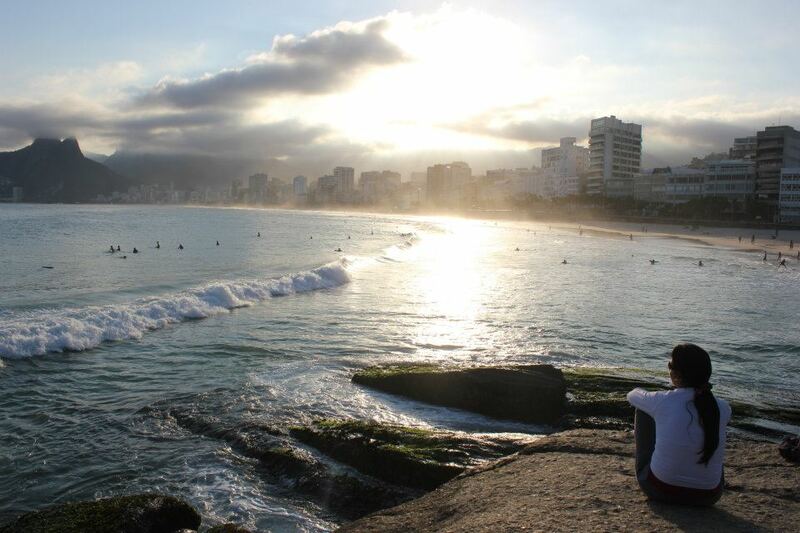 Sophie and I enjoyed the two main beaches of Rio, Copacabana and Ipanema. They're not as heavenly as the ones I've been to in Yucatan, Mexico, but equally impressive with a little vegetation and towering rocks. The strength of their waves is simply extraordinary. Chico was kind enough to lend me his bike when he was going to work. 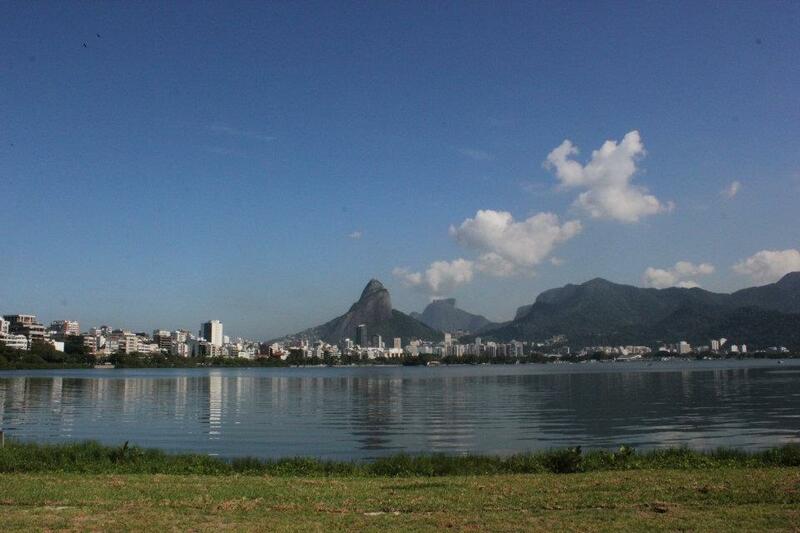 Thus I could explore Ipanema and Lagoa district by bike cycling around a beautiful lake that lies in the middle of this wealthy area which is one of the only places in town wherethere is no favelas. 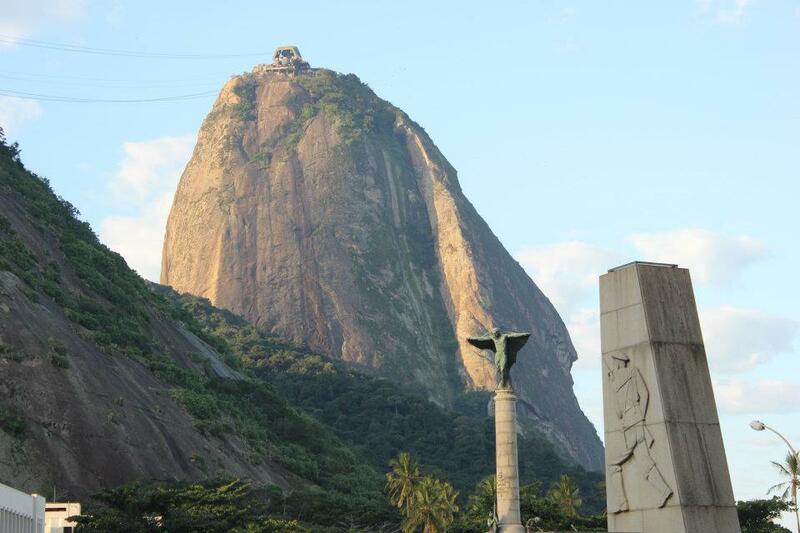 Christ Redeemer is a key landmark overlooking the town. 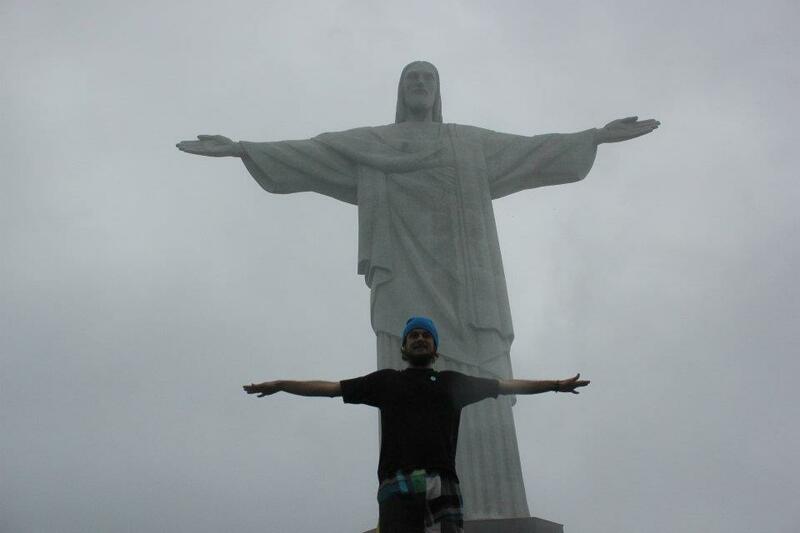 It is considered as the largest art deco statue in the world and the 5th largest statue representing Jesus. So on a sunny morning I decided to climb to this symnbolic monument with Esther. We had to take a shuttle which first drove us to two points of view to the city. Amazing ! En route we even saw monkeys which is very common to see running along the electric cables of the city. The weather was beautiful but suddenly the wind began to blow bringing thick gray clouds that covered the city in a few minutes. No sooner had we arrived at the statue it started raining cats and dogs. A violent storm that forced us to take shelter in a restaurant for almost 2 hours! Finally we took advantage of a lull to get close to the 39 metres high statue. A sculpture that surprises by its size but also its domining location facing the ocean. 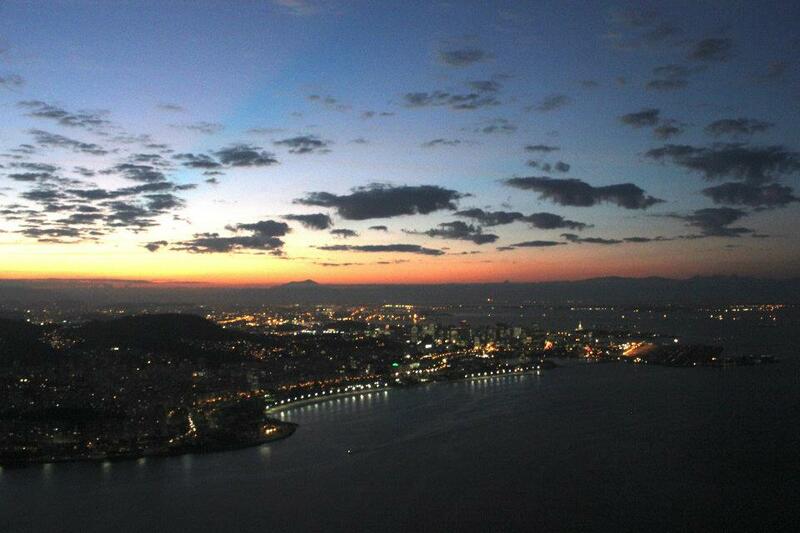 But the most strinking thing for me was the sunset that I've seen from the top of Rio's most famous rock that can be seen on all the postcards: the Sugar Loaf(Pao de Açúcar in Portuguese) which is 396 meters high. It is a cable car that allows access to the summit of this massive rock - the same that we see in the film Moonracker where James Bond faces Shark who tries to kill him at the top of the cable car. The access is costy but the natural show we get from there is is definitely worth it. It is late afternoon, just before the sun started to set that I went to the Sugar Loaf so I could watch the sunset from at the sommit. This was a magical moment and probably the most beautiful sunsets that I've seen is.